In the previous post we have discussed about residual soil derived from hard rock. There mostly physical or mechanical processes are involved in weathering. Now we will discuss about some rocks where chemical weathering processes are observed. The main action that makes weathering is dissolving soluble materials present in such rocks. The ground water present in this rock deposit does the task removing soluble fraction from rocks leaving behind insoluble fraction. Like hard rock, these soils derived from chemical rocks have also a gradually varying property, more identical particles remains near bed rock. There usually have some chemical changes as some fraction is removed by dissolving. These soils that derived from weathering of rocks like limestone are in gray color in most cases. 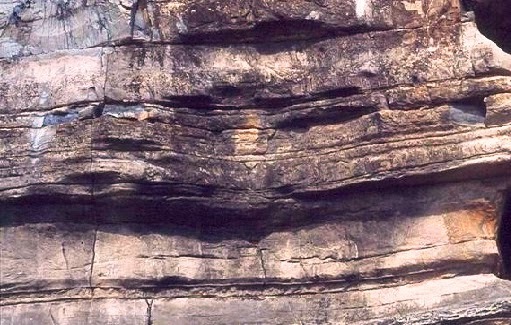 Although weathering is happened uniformly, the depth of intrusion of weathering may greatly vary. These soils just above bedrocks may be in normally consolidated state. In case of, supporting a heavy foundation that is subjected heavy loads, there may have large settlement due to consolidation of these soils. What is Activity of Soil? What are Wind Transported Soils?